Based on official statistics made available to the United Nations High Commissioner for Refugees (UNHCR) by asylum countries, the number of citizens from the Republic of Belarus (Belarus) claiming asylum in 29 of the most industrialized countries in the world, while limited, has increased in the last few years (UNHCR, 2004). The number of cases of asylum-seekers and refugees has grown from 3,291 in 2000 to 6,480 in 2010, peaking in 2006 (11,062). This trend has generated numerous queries addressed to the UNHCR by asylum countries assembling information relevant to the determination of the status of asylum-seekers originating from Belarus. The number of gender-related claims (including those based on discrimination against lesbian, gay, bisexual and transgender (LGBT) people) is not known, but one can assume that the large increase in asylum claims overall includes an increase in these types of claims. 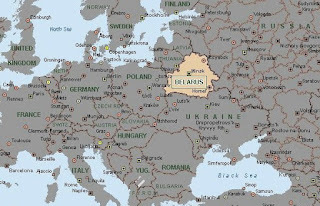 According to the results of a survey conducted by Gay.by in April 2011, 65.6% of respondents have thought of leaving Belarus because of homophobia. The UNHCR addressed matters related to homosexual asylum-seekers and refugees originating from Belarus in its background paper (UNHCR, 2004). The Immigration and Refugee Board of Canada did the same in 1995 and 2006. No original publications with any scientific data on LGBT asylum-seekers and refugees from Belarus are available yet. The goal of this article is to set out legal considerations bearing upon the grouping of LGBT claimants and provide a review of the relevant material on the situation of LGBT people in Belarus. This article is not, and does not purport to be, conclusive as to the merit of any particular claim for refugee protection. Neither can it be considered an exhaustive analysis.